Moms are masters at multi-tasking. We make breakfast while catching up on our emails. Do laundry between conference calls and get our exercise in while playing with our kids. It’s only natural that we would reach for things that can do more than one thing at time. Take for example these beauty products – not only are they time savers, but they’re total game changers too! 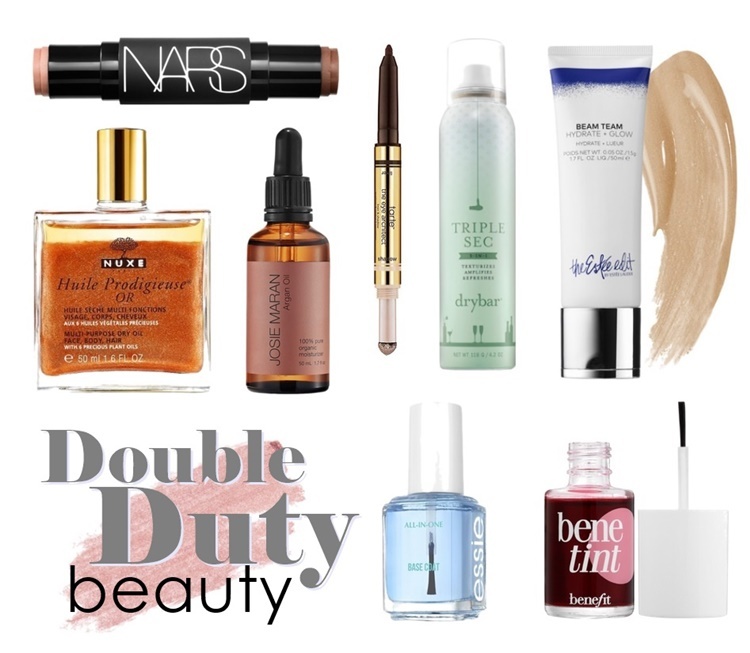 From a multipurpose dry oil for your face, body, and hair to a bronzer and blush duo here are some beauty items that pull off major double duty.